Google algorithm updates can take your business from 0 to 100, literally and figuratively. For organizations with local content on their site or local listings on Google, changes to the local search algorithm can immediately affect the visibility and profitability of businesses far and wide. There are best practices to maintain and improve your local search presence; however, Google algorithm updates are generally unpredictable and can strike at any moment. With this in mind, preparing for any type of update may seem like a lost cause. By educating ourselves on past algorithm changes, we can better understand Google’s intention and ready our local listings and site content for the next update. Without further ado, let’s catch ourselves up to speed on how these major updates have had an effect on local SEO. This algorithm change demotes sites that are considered poor quality when measured against Google’s Guidelines, thus bringing high quality sites to the top of search results. While Google doesn’t specify the requirements for a high quality site, the company implies through a checklist that on-site content is evaluated based on trust, expertise, and objectivity, among many other factors. How Does It Affect Local? Does the page appear to be produced with careful effort and attention to detail? Does the page contain information that is beyond obvious? Does the page have little to no disruptions such as ads or pop-ups? If you answered yes to the above questions from Google’s Guidelines, your local pages are well on their way to improving rankings in Google! This update downgrades sites that show webspam issues on-site, specifically when it comes to backlink health. Sites with unnatural linking or spammy linking tactics suffered the most from this update. Google’s Webmaster Guidelines gives us an idea of the techniques that could be flagged for misleading behavior. What types of links are pointing to the local pages on your site? If you see hundreds of backlinks stemming from only a small number of referring domains, this may be worth checking into to find out if your page has fallen prey to spammy linking. Do you have local listings on Google too? Ensure those listings contain a URL that points to the relevant local page on your site to improve your local listing visibility. For on-page content, local pages should not have any auto-generated content, hidden text or links, or cloaking schemes. This update benefits sites that are mobile-friendly. According to Google, factors taken into account are primarily user experience-based: font sizes, tap targets, readability and usability. Optimizing the local pages on your site for mobile is not solely for rankings, but also to provide users with a quality site experience. 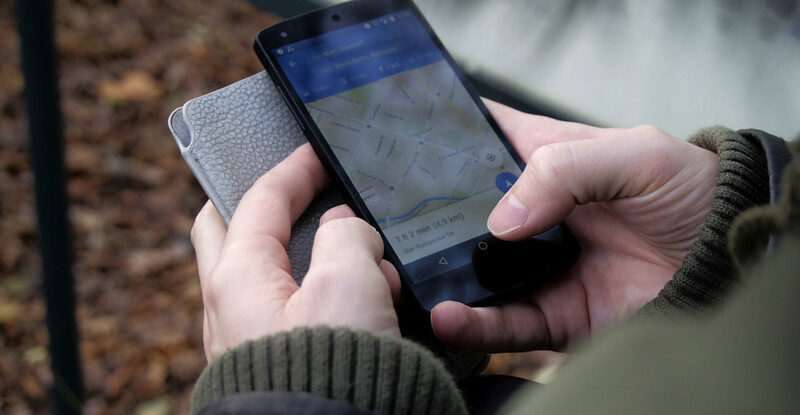 Ensuring the local content on your site is mobile-friendly is integral to your business, especially if your business attracts audiences who are “on-the-go.” You can test your site with Google’s Mobile-Friendly Test to find out. For local, this means that your Store Locator pages are fully functional and visible to adapt to the smaller phone screen. The links on these pages should be able to pull up directions, call phone numbers, schedule appointments, among others when a user taps on each button. Now that we’re caught up on the major algorithm updates, let’s dig in deeper to the algorithm changes that have specifically targeted local listings and content. This update encompasses Rankbrain (announced October 2015), where Google takes into account contextual relevance. Hummingbird’s core update focused on providing more relevant results based on entire query strings, not just the individual words. Because of this, Hummingbird signaled a major shift for Google in its ability to reward high quality content. Hummingbird essentially places value on the intent and meaning behind queries, not just picking out keywords. For example, if someone voice searches “Where can I see a movie?” Google will register the target words see and movie, but more importantly, the search engine also files the word where. A light bulb goes off in Google’s head when it records the word where. It understands that the user wants to find a location near them. Because of this, Google will return local results first, not just movie theater sites. The update provides more relevant and accurate local search results through improved traditional web ranking signals, in addition to local ranking signals like distance and proximity. Initially, it negatively or positively affected certain industries depending on the types of organic search results. The update places Yelp-specific queries ahead of Google reviews. It also gives improved visibility for directories and its listings, such as UrbanSpoon, OpenTable, and TripAdvisor. Finally, the search algorithm will return better results for queries that use the formal and informal names for local areas. Feature your business location on directories, which are consistently gaining more traction in the SERPs. From large organizations with branch locations to mom-and-pop shops, reviews are equally important for any and all businesses. If you only have a listing with reviews on Google My Business, you’re missing out on areas like directories to feature your location. You can earn “citations”, or mentions of your business and its important details, across the web to increase your visibility and rankings. Directories with reviews, such as Yelp and Foursquare, are great places to start placing citations. Other sources where citations could potentially live include profile pages, press releases, image descriptions, and Q&A sites, among others. The Possum directly impacts the 3-pack and Google Maps results, as the update focused on proximity and rank positioning. The point behind this algorithm change is to diversify the local results and to keep spam out of the rankings. What does it mean when I say “diversify local results?” Basically, businesses that fall right outside of city limits or search area now have improved visibility. Before, it was difficult for these outlying businesses to rank for any searches that included the city name. In addition, Possum filtered out multiple listings that only vary slightly in their information. Listings that contain essentially the same information are considered duplicates, meaning only one listing ranks. This allows for Google to cut back on redundancy for the best user experience possible, and for other businesses to increase their organic visibility. However, Possum has some unintended negative effects as well. For example, businesses in shared office or coworking spaces with the same address suffered from this update. Large chains of businesses, with the same business name, website, and in close proximity, also received the short end of the stick with this algorithm change. If you own a business outside a major metropolitan area, you may have seen a rankings boost in the aftermath of Possum. While businesses outside cities largely benefitted from this update, businesses within cities now face a larger competitive pool in capturing the 3-pack. With the Possum update removing redundant listings, it’s crucial that the listing Google decides to keep is the one you want showcased to potential customers. Best practice here: you only need one quality listing to gain traction on Google. In August of 2017, Google implemented an algorithm update called Hawk. Essentially, Hawk rolled back this proximity filter by Possum. This means that now more businesses that are similar (i.e. gas stations) and in close proximity to each other will still rank in Search & Maps without being flagged and demoted for duplicate content. From allllll these updates and their target actions, we know that Google’s end goal is to best serve the user. From on-site content to local listings, it’s imperative to follow best practices with each and every Google update. We’ll refresh this post regularly as more updates impact local!